The Bank of England’s guessing game is twisting Britain’s already-distorted bond market. The central bank has published the list of firms which make a “material contribution” to the UK economy and therefore qualify for its 10 billion pound corporate bond-buying spree. So far, the scheme’s main achievement is to flummox traders. Britain’s vote to leave the European Union has forced the Bank of England (BoE) to follow the European Central Bank (ECB) in deciding which companies should have easier access to credit. The central bank led by Mark Carney is taking a more targeted approach: while the ECB is spending 5 billion euros a month on corporate bonds, the BoE’s programme is smaller and limited to the debt of companies that do business in the United Kingdom. Even so, the definition of “material contribution” remains pretty vague. Companies don’t have to have their headquarters in the UK, but must employ people or sell goods there. But the BoE has not disclosed the precise thresholds. The list of suitable bonds, published on Sept. 12, surprised some traders. 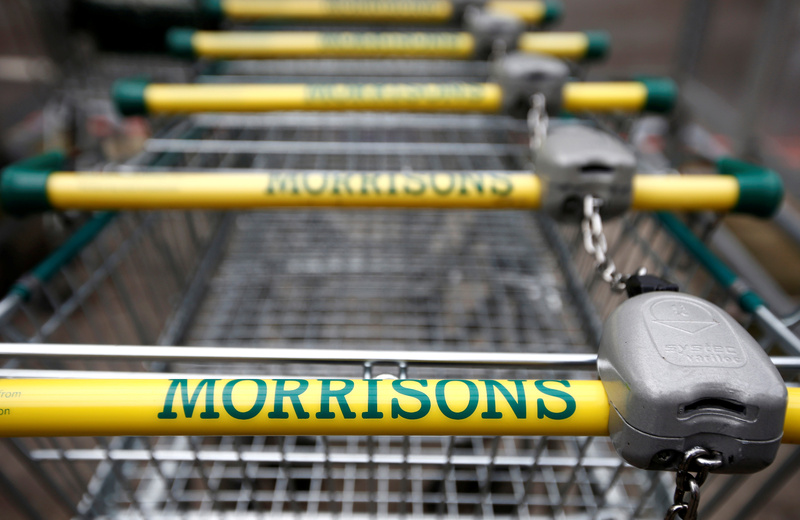 Morrison’s, the country’s fourth-largest supermarket chain, is not on the list. Nor is German utility RWE, which owns electricity and gas supplier Npower. Bonds issued by US telecom behemoth AT&T are eligible but those owed by Telefonica, the owner of O2, which has 23 million UK customers, are not. Manchester Airport is in, while larger London-based rivals Gatwick and Heathrow are left out. True, the list is only a starting point. The BoE also has to work within the confines of a limited and complex bond market. Some securities may be falling foul of the central bank’s refusal to buy bonds that can be repaid early, or its decision to exclude securitised debt. Still, the list highlights the difficulties raised by central banks buying bonds. Though the BoE bought corporate bonds in 2009, that was during a global financial crisis. Now credit is abundant, the benefits are lower and the risk of distortion is higher. While the BoE’s programme is small, inclusion makes a difference: yields on eligible bonds fell as much as 5 basis points after the list was published, according to one investor. Rather than doing their basic job of pricing credit risk, markets are being forced to second-guess the central bank. The Bank of England published an “initial list” of bonds that will be eligible for its 10 billion pound corporate bond-buying programme on Sept. 12. The central bank said on Aug. 4 it would buy corporate bonds issued by companies that make a “material contribution” to the economy, in a bid to boost growth after the United Kingdom voted to leave the European Union. Companies that are headquartered in the UK or have a “genuine business” in the country are deemed to meet the requirement. The list includes bonds sold by U.S. firm AT&T, but not Telefonica, which owns UK mobile operator O2. It does not include debt sold by supermarket group Morrison’s, or by Heathrow Airport.